We are huge fans of the bath bombs that Lush released in the Summer! One we have both recently used is Yoga Bomb, which we first saw at a Lush event we went to in August! Out of the 4 bath bombs from the Summer range we were both super excited to use Yoga Bomb as we love the smell and the demo looked really cool. All over Instagram I kept seeing the ‘new’ Barry M Lip Paints, I looked in every Boots/Superdrug I could think of and couldn’t find them. Finally I managed to find a few different shades and decided to go for Berrylicious. We both love a nice dark berry tone for Autumn/Winter so I knew this would get plenty of wear! 2 Ways to Style ; Boutique Of Molly! Hiya everyone! We were recently contacted by the guys over at Boutique Of Molly who asked us if we would like to write a post regarding their clothing. 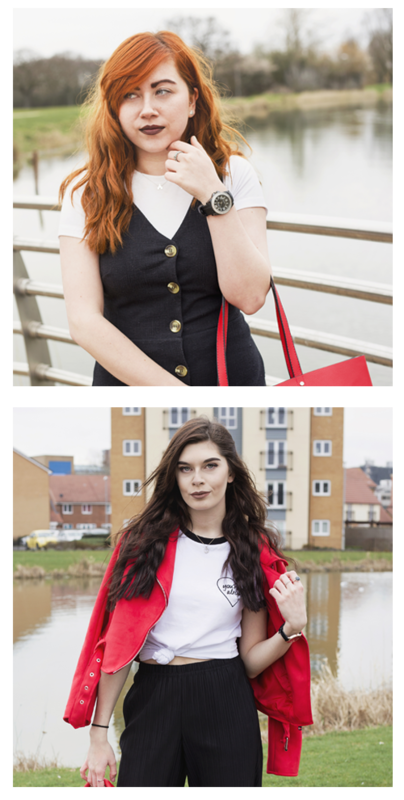 For those of you who don’t know, Boutique Of Molly are an online clothing company who sell a range of items from dresses to blazers. Today’s post is written by me, Lauren! I would just like to say that I bought this item with my own money although the guys at Boutique Of Molly gave me a discount. Moving on, the top I chose is called ‘Elsa’, I don’t generally go for pink clothing, however I loved the cut out detail! I decided that it’d be cool to show you two ways to potentially style this lovely crop so here we go! FIRST BODY SHOP HAUL OF 2015! I was expecting to come out with a White Musk fragrance mist, as it is one of my favourite items from that range! Sadly my local store had none in stock, however the shop assistant showed me this which was in the sale for £8 instead of £16. I also had a 40% of voucher which made this set come to an amazing £4.80! It includes a 30 ml bottle of the White Musk eau de toilette, 60 ml of the shower gel and 60 ml of the ‘smooth satin’ body lotion. The fact that the set also came in a small cosmetic purse persuaded me to buy the product even more, I love a good cosmetics bag to take to University or work with me! Each of these products have an amazing scent and the shower gel and body lotion leave your skin feeling and smelling beautiful!